We started out slow today as Dr. Debra ask us to take it easy for 24 hours. We got a call from Miss Peggy’s step sister that they had a change of plans and they were going to be going through Lake City today about noon. Gosh had to shower and shave two days in a row. 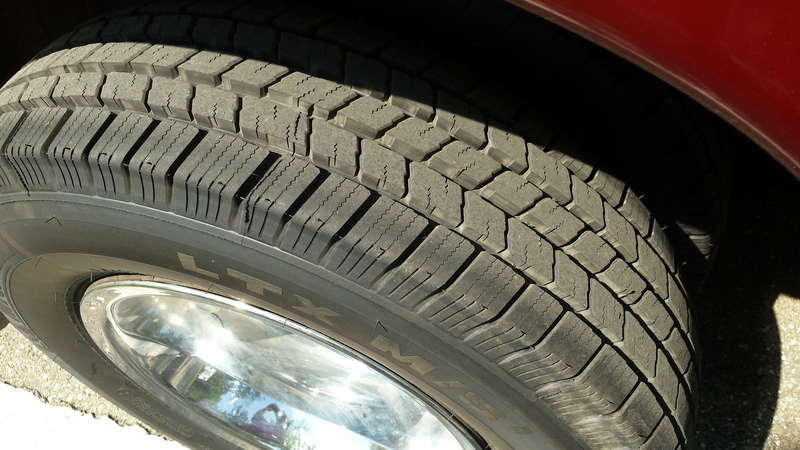 The Big Red Truck wanted to show off her new shoes. 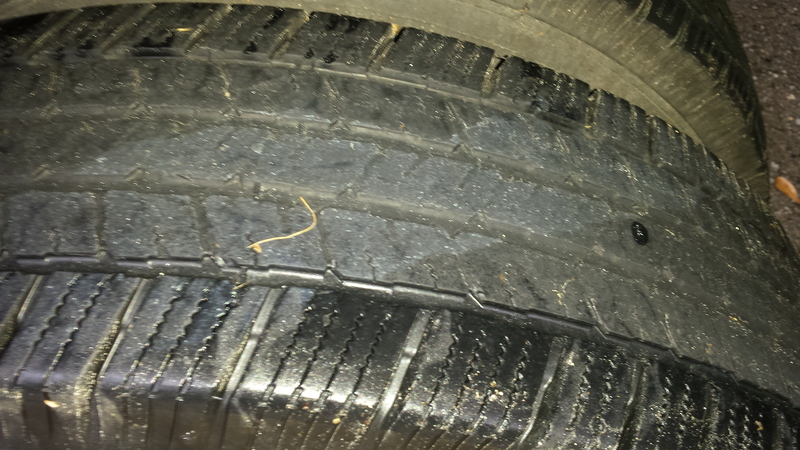 Old Shoes – think we got our monies worth out of them? New Shoes – She is proud. We did a couple of small projects, found out Miss Jackie & Randy read the GPS wrong and it would be 1:30 when they got into the area. After a long walk (Dr. Debra scolded me about losing some more weight) we went into Lake City with stops at the post office and Wal-Mart. 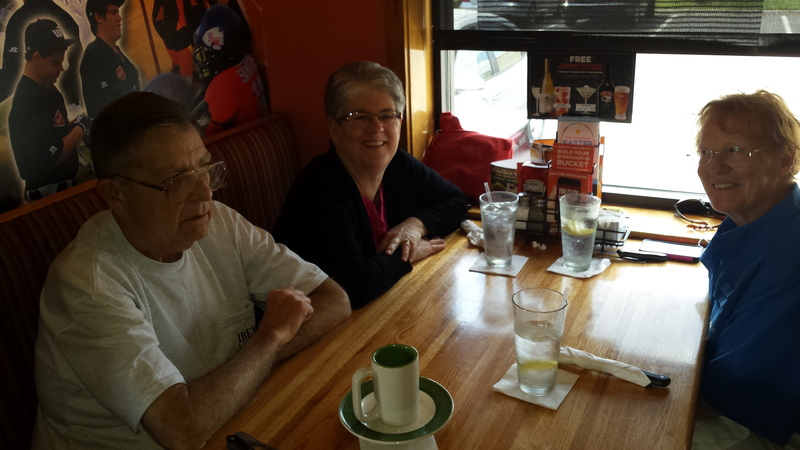 We meet Miss Jackie & Randy at Applebees. Being it is St. Patrick’s Day I had corned beef and cabbage, the others had regular Applebee’s food. After eating lunch and catching up on kids and grandkids we got back to Ocean Pond very late in the afternoon. I Couldn’t get Randy to smile for the camera – he was smiled out for the day! We had some fruit and veggies and went over the community campfire at Lenny & Mary Ann’s. Seems Ken is out of the campfire mode, but he and Helen came over anyway. 🙂 We talked for hours around the campfire and solved some of the problems of camping in Bushnell, FL, the mail system, and Detroit. I was still tired from Monday’s late night and was ready for bed tonight. Here are three picture as a blast from the past. 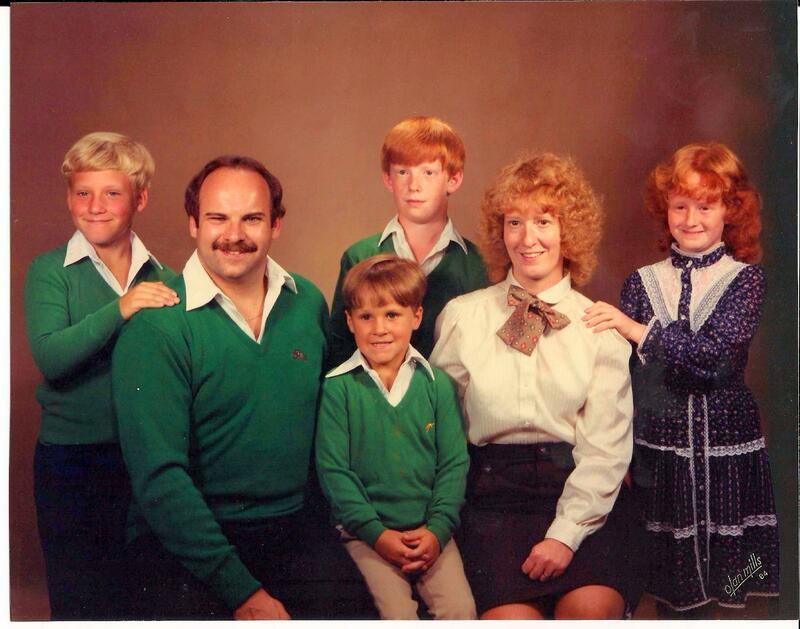 Official family portrait from 1984. 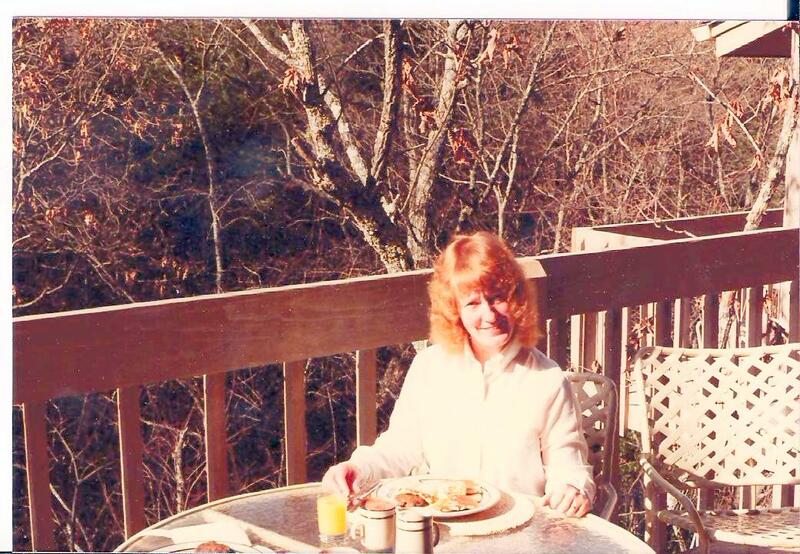 Miss Peggy and I on a no kids getaway in Tennessee. There was snow on the table when we got up. 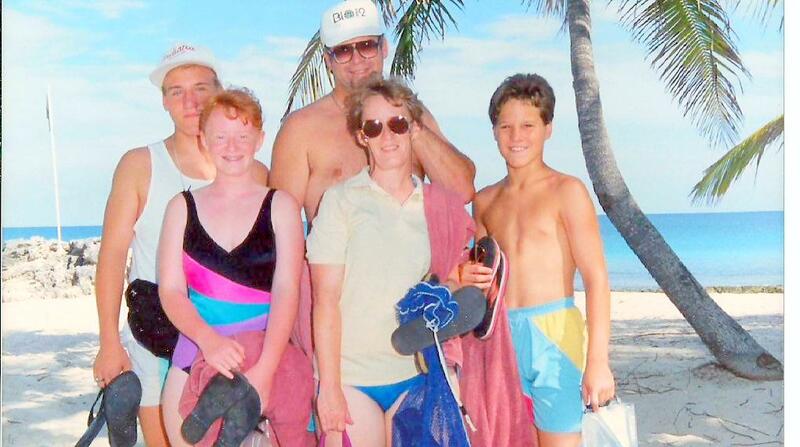 Snorkeling with the kids in 1991. Mike was reading somewhere!